Whether your retirement is fast approaching or decades away, it is likely that you do not spend much time pondering what will happen when you stop working. Unfortunately, many people are unable to retire when they’d like to because of their financial situation. With careful planning, you can avoid this predicament. Planning ahead for retirement allows you to decide when and how you will retire, and whether you will continue to work. Even if you have not begun to plan, you can still start preparing yourself at any time – whether you plan to retire in the next few years, or in the next few decades. It is important to give yourself the best chance for a happy and secure future! 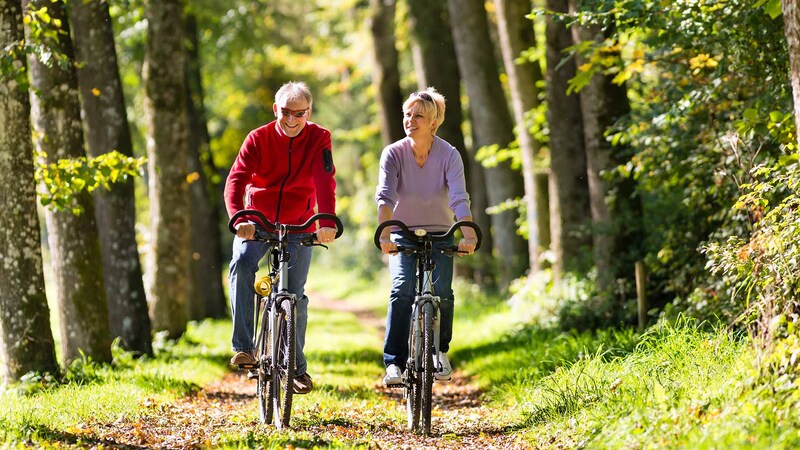 Even if you are nearing retirement age, you still have time to plan ahead for your future. If your employer will provide you with health insurance and other benefits during retirement, you don’t have to settle for what they offer. Depending upon your employer’s policies, you can actually negotiate the amount you’ll pay for health insurance, what it covers, and whether you can keep your dental or vision plan. Ask your HR representative to review all options available to you during retirement. Also, find out if you can structure your pension differently. This might mean taking a lump sum amount instead of an annual or monthly payment. Note that if you take a lump sum option, you may lose out on other retirement benefits, such as company-provided healthcare. Weigh your options carefully, because your decisions will have far-reaching repercussions. Many people ponder when is the right time to start collecting social security benefits. You can start receiving benefits as early as age 62; however, it may make more sense to delay these benefits until you reach full retirement age, between age 66 and 67, depending on the year you were born. If you can put off receiving social security benefits until you reach age 70, you will receive a larger monthly check. If you’ve already started receiving checks, but wish that you had waited, you can pay back what you’ve received and start receiving benefits at a later date. Contact your local Social Security Administration office for details and instructions. Even if you delay getting social security benefits, make sure to contact Social Security to sign up for Medicare benefits within three months of your 65th birthday. Otherwise, Medicare benefits will be delayed and may become more expensive. You must wait until you have reached age 59 1/2 to tap traditional IRAs or to access your company’s 401k plan without incurring steep penalties, with few exceptions. Even when you can withdraw money without paying penalties, consider leaving money in investment accounts for longer periods of time so the money keeps growing. The IRS requires that individuals begin making required minimum distributions from 401k plans and traditional IRAs (not from Roth IRAs) once they reach age 70 1/2. Keep in mind that if you develop a hefty balance, your withdrawals could put you in a higher tax bracket. To mitigate this – especially if you plan to let your funds grow during retirement – consider converting all or part of your IRA or 401k account into a Roth IRA. This way, funds can grow tax-free after the conversion and you do not have to withdraw them upon your 70th birthday. Of course, you have to pay taxes on the Roth IRA conversion, but you won’t ever have to pay taxes on the growth of the account, nor when you make account withdrawals. Furthermore, because you do not have to make taxable withdrawals from a Roth, you can easily pass these funds on as an inheritance if you wish. Financial planners often say you’ll spend less money in retirement than you did while working. However, taking on an expensive hobby or going back to school can cause your monthly bills to skyrocket. Before splurging on new experiences, test the waters gingerly to make sure you really can afford to spend the money and time. For example, if you’ve always wanted to buy a sailboat, sign up for lessons before you purchase a boat to make sure you can keep up with physical challenges of sailing. Consider that 10 years from now, you might not feel as frisky at the helm. It might even make more sense to rent a boat when you want to go sailing, rather than purchasing one. Or, perhaps you might decide to buy a smaller, used sailboat to see how often you use it before you make an expensive investment in your new hobby. Strike a balance between “seizing the day” and planning ahead. Your retirement allows you to enjoy the fruits of your labor, but you do not want to get in over your head with debt. 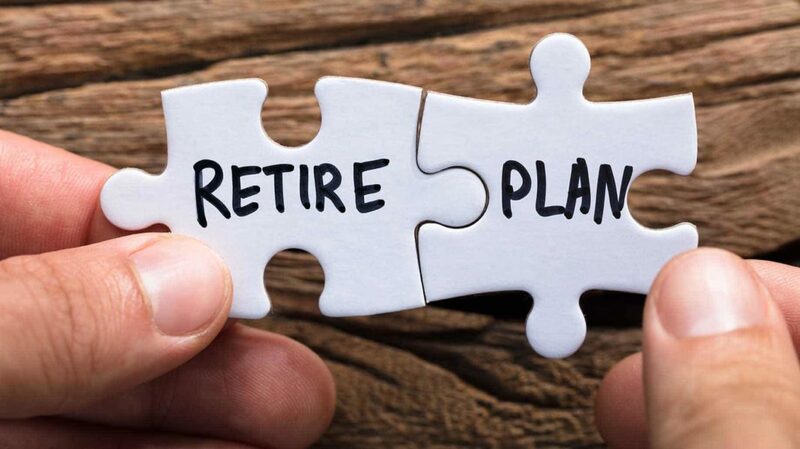 If you do not plan to retire for a decade or more, you have the time and flexibility to make the most of your existing savings and maximize your retirement contributions. However, you are at a critical juncture when you can benefit by incorporating creativity and common sense into your retirement planning, in addition to investing more money. After the kids have flown the coop and you no longer have use for extra bedrooms, you might still live in a home that is too large for your needs. 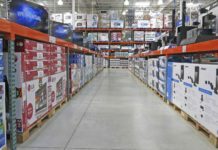 While you may find comfort in maintaining the home you’ve known for years, this choice can take a severe toll on your finances and your health. Consider moving out of your large family house into a smaller, more affordable house. By downsizing your home, you can free up a lot of money to save for retirement. In addition, as you grow older, your larger family home may need to be retrofitted for someone with limited mobility. This takes time and money, and can make it more difficult to sell the home. Regardless, if you have to renovate your home to make it easier to navigate, you likely will not recoup this investment when you finally do sell. Look for a smaller home that requires less upkeep and is easy to navigate. This might include buying a single level home or a home with easy-to-reach counters and electrical outlets. Relocating doesn’t get any easier with age. If anything, it becomes more difficult. Downsizing to a smaller, less expensive home also helps prepare you for retirement by lowering your monthly expenses. If you can use the equity in your larger home for a significant down payment on new home, you can greatly reduce your monthly mortgage payments. If you move to a smaller home, you can also save money on utility bills, insurance premiums, property taxes, and maintenance costs. If you pay $2,000 every month for your mortgage, property taxes, and insurance on a four-bedroom house, and pay an additional $500 for utility bills and maintenance, imagine how much you’d save by moving to a two-bedroom condo or townhouse. Now imagine what you could do with all the money you’d save! Even if you decide to stay in your current home, you may get a smaller mortgage by refinancing. Many homeowners who have had the same mortgage for years are surprised at how low their payments become once they refinance. In fact, if you have made mortgage payments for many years, resetting the “clock” to a 30-year term will definitely reduce your monthly payments. If you decide to refinance your mortgage, do your homework and shop around. Compare rates to learn more about reasonable closing costs, points, and interest rates. Choose a mortgage broker you feel good about and read the fine print for any contracts carefully. For example, make sure you do not end up with a mortgage prepayment penalty if you don’t want one. Also, determine how long it will take you to break even by comparing how much you’ll save with a refinance, and how much the refinance actually costs. Paying off the debt you have now can give you more bang for your buck than simply stowing extra money in your IRA. The rate of return you’ll receive on your money in an IRA is also the interest you won’t pay toward your debt. If you instead focus on paying off your debt, that’s another monthly bill you won’t have to worry about after you retire. Try to avoid taking on new debt at this point in your career, since your ability to repay the debt may decline when you leave your full-time job. Similarly, avoid tapping into your home equity unless absolutely necessary. Opening a home equity line of credit (HELOC) may seem like a prudent move, but when it becomes due in 5 or 10 years, you may not be able to afford those payments. Moreover, if you eventually decide to get a reverse mortgage and don’t have much debt in your home, the amount of equity you can draw upon is much greater, netting you a larger payment from the bank. Too many people discover the hard way that the stock market does not produce comfortable, predictable yearly returns. When you reach the midpoint of your working life, begin shifting some of your money out of riskier investments and toward safer investment opportunities. The amount of money you move during this time depends on how much money you’ve saved, at what rate you want your investments to grow, and your investment risk tolerance. Though you may feel as though you will lose money by moving some of your savings into investment grade bonds or annuities, this will provide a safety net if the stock market takes a sudden plunge, as it often does. In addition to moving money into bonds or annuities, you could also purchase shares in life cycle mutual funds, which automatically redistribute portfolio risk according to your age, or you could choose individual securities that reduce portfolio risk. However, if you decide to allocate your savings, revisit your portfolio regularly to make sure it reflects your financial goals and retirement plans. If you are interested in working after retirement and plan to embark on a new career, train for it sooner rather than later to determine if it’s right for you. Training earlier also better prepares you to find a job in that field when you retire from your current position. For example, many older people pursue new careers in nursing or medicine, and nursing schools conveniently offer evening and weekend classes for students who hold a full-time job. This can work out especially well if you can work part-time in that field while you still work full-time. If you receive training now, you can compete with those who have more experience in the field once you retire. If you still have decades until retirement, you can ensure that it will be comfortable, as time is the most important factor when preparing for your financial future. Though getting started now may not seem terribly important when retirement is so many years away, it can have a huge impact on the size of your nest egg. Also, it may help you if you would like to enjoy an early retirement. Many people don’t start thinking about retirement until their 40s or 50s. By then, they’ve passed up the opportunity to let their savings grow over time. You may not make much money during your early working years, and trying to save money for retirement can be challenging. However, when you begin saving early in your career, you don’t have to save as much later to reach your retirement goal. Setting aside even 3% of your paycheck in a 401k or in an IRA adds up over time. When you include retirement planning in your budget at a younger age, you also develop good habits early on instead of trying to learn them later in life. There are multiple online calculators that explain how much you should save for retirement. These can provide you with an approximate savings goal, and can be especially helpful if you don’t particularly enjoy working with numbers. However, to truly determine logical personal retirement savings goals, you should consider your current expenses, how you expect those to change during retirement, your return on retirement investments, and how long you expect to live. For example, suppose your current annual expenses including your mortgage, utility bills, medical bills, groceries, gas, clothes, trips, entertainment, and insurance premiums add up to $40,000. Further, suppose you plan to downsize before you retire and so, in today’s dollars, you expect your retirement expenses to reduce to $35,000 annually. Next, consider how much that $35,000 will be worth when you retire based on inflation. Though inflation has varied widely over the years, its average over the last decade has been near 3% annually. In this example, if you plan to retire in 2o years, you will need to receive $63,214 annually, adjusted for inflation when you retire. Moreover, if you expect to live for 30 years once you retire and also expect to net 5% on your investments after adjusting for inflation, you will need a nest egg just under $1 million to provide that income. After you’ve determined a savings goal, you need to make sure that your retirement contributions and investment portfolio growth will help you achieve your goal. For example, if you just started to save and have 20 years until retirement, you could max out both a Roth IRA and a 401k every year until you retire to meet your goal. This means you’d contribute $21,500 to your retirement annually. However, you’d have to earn at least 7.9% on those funds annually to near the $1 million mark. To meet this goal, you have to allocate your portfolio to focus primarily on growth investments that can reasonably deliver a 7.9% annual return. Growth investments might include a mutual fund or multiple mutual funds. You can look at performance history to see what the fund has done in the past, and also attain a solid idea of the projected returns you can expect to receive. However, it should go without saying that past performance is no guarantee of future results. Even with careful planning, the savings goal you calculate does not guarantee a comfortable retirement. These complex calculations require advanced mathematical skills and are affected by multiple changing variables, such as the return on your investments and inflation. In fact, many of these calculations do not account for taxes. Use any savings goal number only as a benchmark, and revisit your savings goals – and ways to reduce expenses – on a regular basis. 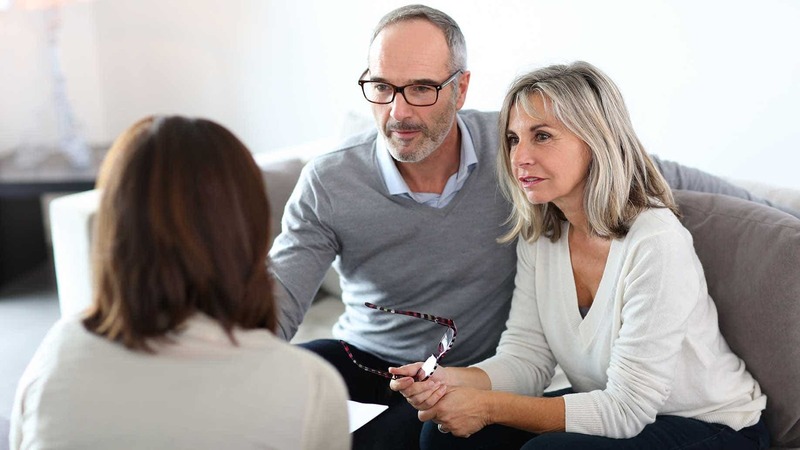 If you want to customize your retirement calculation, consider finding a financial advisor who has the tools to project a savings goal and can offer you multiple methods to reach that goal. When you use a retirement calculator to project how much you need to save, you may have to pick the age at which you plan to retire and estimate how fast your money will grow. You can not control either of these determining factors, so only examining the best possible scenario practically guarantees that you’ll come up short of your savings goals. Don’t assume you can work as long as you want, and don’t assume you’ll spend all your working years actually working. You may experience periods of time where you cannot contribute much to your retirement savings: job loss, injury, and the fluctuation of the stock market can all negatively impact your savings. This does not mean you should assume the worst if you can’t meet your savings goals, but you should not assume that huge gains in the stock market and extra years of working at a nice high salary will pan out. Most parents worry a lot more about the costs of sending their children to college than the costs of funding their own retirement. It seems the idea of prioritizing yourself over your children is practically anathema to most parents. But let’s consider the facts: Your child can study hard and get college scholarships, choose a well-regarded state school, or take two years of community college to cut down on costs. Plus, there are many different student loan programs with low interest rates and flexible payment plans, and you can often deduct the interest you pay on loans from your taxes. Your children can also explore ways to afford and pay for college without student loan debt. Now that you’ve considered this, please list all the scholarship programs that will pay for your retirement. Your children will certainly appreciate it if you save some money for their college education and help them with costs. But what they might appreciate even more is not having to loan you money during your retirement or otherwise support you. Going to a less-expensive school or taking out loans will in no way doom your children to failure. However, if you fail to save enough money for your own retirement, it will certainly make your life much more difficult. A child who is old enough to go to college is old enough to understand what college costs, and can weigh whether a more expensive school is worth the money – both your money and their loans. If you are able to save enough money to meet your reasonably pessimistic retirement savings goals and build a college fund, then by all means, do so. But do not shortchange and consign yourself to decades of struggling when you’re older just to spare your child from student loans or a state school. As with many other things in life, the sooner you get started, the better off you’ll be. But even if you’re already close to retirement, knowing your options and making informed decisions based on your personal finances and goals will pay off in the long run. Downsizing, redistributing your 401k, calculating a retirement savings goal, and refinancing a mortgage may not be fun, but you’ll thank yourself later for taking the time to prepare now. What tips do you have for saving for retirement? 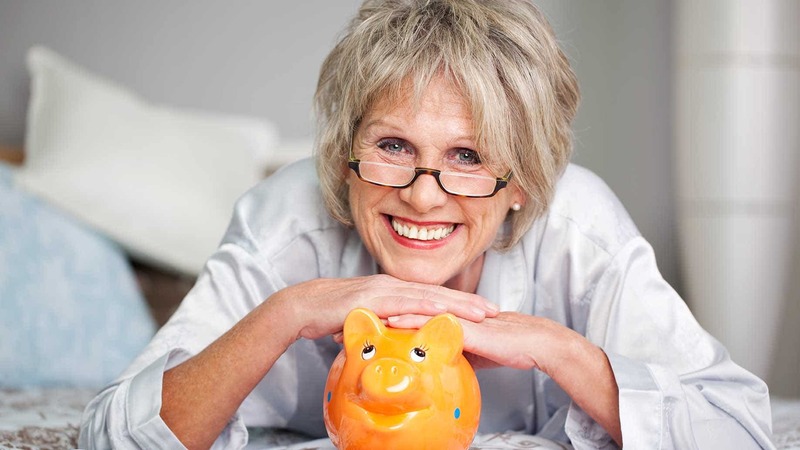 Have you begun to save for your retirement?